With the dog days of August 1904 having descended on St. Louis and the Browns well back in the American League standings, manager Jimmy McAleer was looking for something to maintain fan interest in his club. To that end, he placed two local favorites from the semipro St. Louis Trolley League on the Browns roster: teenager Art Bader and 20-year-old Pat Hynes. The youngsters, alas, were not major-league material, and neither Bader nor Hynes would play another big-league game after his 1904 audition. But the lives of the two make an interesting study in contrast, nonetheless. Released after a two-game trial with the Browns, Bader developed into a competent high minor-league outfielder, playing mostly for Des Moines of the Western League. But soon after he obtained his law degree in 1910, the still youthful Bader abandoned the game. For almost the next 50 years, he devoted himself to the civic life of St. Louis, serving as an assistant city attorney, circuit-court judge, and city excise commissioner. He died in 1957 at age 70, having led a full and productive life. Fate was far less kind to Pat Hynes. After leaving the Browns, he played two seasons as a pitcher-outfielder in the American Association, and was signed for the 1907 campaign by the Milwaukee Brewers. Days before his scheduled departure for spring training, Hynes was shot dead in a St. Louis saloon, expiring on his 23rd birthday. Art Bader is already the subject of a BioProject profile. What follows is the biography of his ill-starred 1904 St. Louis Browns teammate. Hynes began his pro career as a 19-year-old. According to one dubious report, he signed for the 1903 season with the Seattle Chinooks of the Class A Pacific National League, but failed to report.3 He began his career in earnest that season much closer to home with the Vicksburg (Mississippi) Hill Billies of the Class D Cotton States League. Splitting his time between the outfield and the mound, Hynes batted .257 in 237 at-bats, and posted a creditable 7-4 log in 11 games pitched. This prompted interest from the New Orleans Pelicans of the Class B Southern Association, but Vicksburg “refused a liberal offer” from New Orleans for the youngster’s services.4 Soon thereafter, friction developed between Hynes and Vicksburg skipper Billy Earle. In late July Hynes quit the Hill Billies and returned to St. Louis,5 earning himself a place on Organized Baseball’s disqualified list.6 Pat then resumed playing in the hometown Trolley League. Meanwhile, the National League St. Louis Cardinals, cruising to a last-place (43-94) finish, were on the lookout for local talent. And by means now unclear, the Cardinals were able to give the ostensibly ineligible Hynes a tryout. Hynes’s eligibility and whereabouts remain uncertain as the 1904 season commenced. 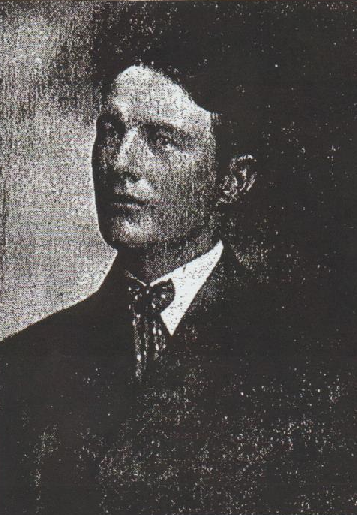 He was not in the Cardinals spring camp, and NAPBBL Secretary John H. Farrell’s March 24, 1904, Official Bulletin continued to list Hynes as property of the Vicksburg club.9 Then in late May, Farrell issued a Special Notice alerting clubs in Organized Baseball that “the following independent clubs are harboring disqualified players: Poplar Bluff, Missouri — P.J. Hynes and E. Green.”10 Wherever he was previously, Hynes was playing for the White Seals of the St. Louis Trolley League by midseason. Later that month, Sporting Life informed readers that: “McAleer has a Trolley League player Hines (sic) on trial and thinks well of him. Hines will be given every chance to establish his class. The youngster frankly admitted to McAleer when he applied for a berth on the Browns that he was under suspension by the Cotton States League. He is a left-handed pitcher that will be kept in right field for the rest of the season unless he should let down. He has a fine physique, stands well at the plate, meets the ball nicely whether swinging or bunting, and plays the field acceptably.”14 The Browns also used the young southpaw occasionally on the mound, with a 6-3 complete-game win over Detroit on September 8 being the pitching highlight of Hynes’s brief major-league career. In March 1905 Pat was among the Browns holdovers invited to spring camp in Dallas. He appeared to play well, even hitting a long home run in an exhibition game against the Dallas Giants.17 But the Browns were overstocked with outfielders, and McAleer, short of left-handed pitching, contemplated using Hynes in the rotation rather than in the field. Sporting Life reported, “The lad from the North End [of St. Louis] has some puzzling benders and deceptive shoots and ‘Jeems’ expects to use Hynes’ sidewheeler to advantage.”18 Arm problems frustrated that plan, and Hynes was soon slated for backup outfield duty.19 But before the club headed north, Hynes was sold to the Minneapolis Millers of the Class A American Association.20 Unbeknownst to young Pat Hynes, he would never wear a major-league uniform again. According to one report, Hynes was surprised and embittered by the demotion, attributing it to being bad-mouthed by Browns catcher Mike Kahoe.21 Nevertheless, Pat reported to Minneapolis, where his manager would be the veteran Bill Watkins, a no-nonsense disciplinarian with whom Hynes, a young man with “convivial propensities,”22 often clashed. Watkins needed pitching, but Hynes’s arm was no longer up to the task. He eked out a decent 5-3 record for the Millers, but made only 10 mound appearances. He also batted .260 in 100 at-bats. By August he was back home, again playing in the Trolley League.23 Despite meager numbers during his Minneapolis stay, it was reported that the Browns retained interest in Hynes and that he would rejoin the club at the American Association season’s end.24 And true enough, the Browns selected Hynes in the September minor-league draft.25 But he would not get another chance in the big leagues. Following a Funeral Mass at Notre Dame de Lourdes Church, Patrick J. Hynes was interred at Calvary Cemetery, St. Louis. He was survived by his parents and sisters, Marie Hynes and Katherine Hynes Bushmiller. Sources for the biographical info recited herein include the Pat Hynes file maintained at the Giamatti Research Center, National Baseball Hall of Fame and Museum, Cooperstown, New York; US Census and St. Louis directory data accessed via Ancestry.com; and certain of the newspaper articles cited below. Unless otherwise noted, stats have been taken from Baseball-Reference. 1 As per an unidentified March 13, 1907, news article contained in the Pat Hynes file at the Giamatti Research Center. 2 Seattle Times, March 12, 1907. 3 Ibid. Hynes’s age and professional inexperience make it improbable that he would have attracted the attention of a Class A minor-league club, particularly one in faraway Seattle. Beginning with a Class D team in much closer Vicksburg, Mississippi, the pro debut ascribed to Hynes by Baseball-Reference, seems far more likely. 4 As reported in Sporting Life, June 20, 1903. 5 As per Sporting Life, August 1, 1903. 6 Official Bulletin No. 10, issued by NAPBBL Secretary John H. Farrell on August 18, 1903, and published in Sporting Life, August 29, 1903. 7 Sporting Life, October 3, 1903. Other news outlets concurred, with a wire-service report stating: “Hines, the local semi-professional, pitched for St. Louis and did well.” See, e.g., the Boston Herald, Saginaw (Michigan) News, and Tampa News, September 28, 1903. 8 See Sporting Life, October 17, 1903. 9 The Farrell bulletin was published in Sporting Life, April 9, 1904. 10 See Sporting Life, June 11, 1904. 11 See Sporting Life, October 8, 1904. 12 As per the Official Bulletin promulgated August 18, 1904, and published in Sporting Life, August 29, 1904. 13 See the Boston Herald, August 11, 1904. 14 Sporting Life, August 27, 1904. 15 As reported in Sporting Life, October 8, 1904. 16 As per Sporting Life, October 22, 1904. 17 It is perhaps noteworthy that Hynes’s homer was a long drive over the head of Dallas left fielder Doyle, but an attempt to divine whether Hynes was a righty or lefty batter on the basis of the direction of his base hits was stymied by insufficient detail in newspaper accounts of his playing exploits. 18 Sporting Life, March 11, 1905. 19 As reported by the Dallas Morning News, March 17, 1905. The Browns starting outfield would consist of George Stone, Emmet Heidrick, and Emil Frisk, with Hynes in reserve. 20 As reported in Sporting Life, April 1, 1905, Kalamazoo (Michigan) News, April 11, 1905, and Anaconda (Montana) Standard, April 19, 1905. 21 See the Kalamazoo News, April 11, 1905. 22 The descriptive of an unidentified sportswriter quoted in the Pat Hynes section of Frank Russo and Gene Racz, Bury My Heart at Cooperstown: Salacious, Sad, and Surreal Deaths in the History of Baseball (Chicago: Triumph Books, 2006), 113. 23 As reported in the St. Louis Post-Dispatch, August 6, 1905. 25 As per The Sporting News, September 9, 1905, and Sporting Life, September 15, 1905. 26 As reported in the Elkhart (Indiana) Truth, March 3, 1906, Omaha World-Herald, March 4, 1906, and Sporting Life, March 10, 1906. 27 According to the Rockford (Illinois) Register-Gazette, March 20, 1906. 28 As per Sporting Life, March 31, 1906. Hynes also expected to earn an extra $25 per week pitching in the Trolley League on weekends. 29 As reported in the Milwaukee Journal, August 28 and 29, 1906, and Denver Post and Evansville (Indiana) Courier, August 29, 1906. 30 As per a 1906 Brewers season history compiled by Milwaukee baseball historian Dennis Pajot, accessible to SABR members via the research tab on the SABR website. Baseball-Reference has no 1906 pitching stats for Hynes. 31 As per Sporting Life, January 5, 1907. 32 See, e.g., the St. Louis Globe-Democrat, March 12, 1907, and St. Louis Post-Dispatch and St. Louis Republic, March 13, 1907. 33 As per the death certificate contained in the Pat Hynes file at the Giamatti Research Center. 34 Certain newspapers coupled word of Hynes’s death with the report of the slaying of one Albert Nichols, shot and killed shortly thereafter in a nearby saloon following “a dispute over the price of a ham sandwich.” See the Aberdeen (South Dakota) News, Riverside (California) Press, and Wilkes-Barre (Pennsylvania) Times, March 12, 1907. 35 As reported in the St. Louis Post-Dispatch, March 12, 1907. See also the Augusta (Georgia) Chronicle, Baltimore Sun, and Grand Forks (North Dakota) Herald, March 13, 1907. 36 As per the Washington Evening Star, March 13, 1907. 38 See the St. Louis Globe-Democrat and St. Louis Republic, March 13, 1907. 39 As per the St. Louis Globe-Democrat, March 13, 1907. 40 Per the St. Louis Post-Dispatch, March 21, 1907. Thanks to SABR member Sam Gazdziak for finding the disposition of the matter.